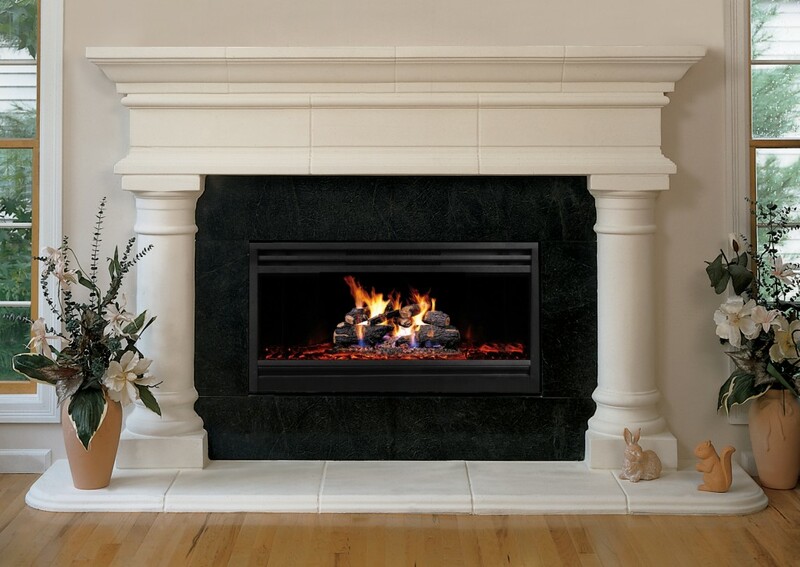 The Aegean brings your fireplace a classic architectural look with roots in ancient Greece. 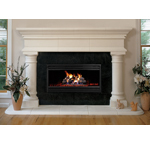 Its imposing, multi-piece hearth provides a solid base for the heavy pillared legs that frame your fireplace opening. 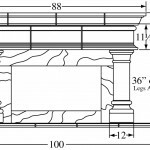 The large sub header and shelf add to the massive appearance. 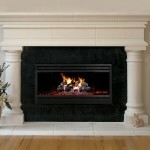 A marble surround is used to complete this mantel.